You have insider information about the stock market! It's up to you to choose the best investments and outplay your opponents to earn the most money. Build you stock portfolio by bidding wisely at auction, and stick your opponents with hidden trading fees. Will you be able to manipulate the stock market to your advantage, or will your investments go bankrupt from poor predictions? This game rose to my top two of all time. I absolutely love it. The components, art and especially gameplay is flawless. The game has relatively simple rules, but deep strategy and while there is a lot of randomness it still feels great and strategic. 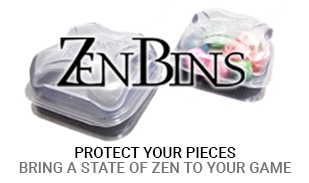 This is a true gem from a newer company, a nice surprise. This game very well could be my favorite game of 2015. It is a really solid game that is easy enough to learn for even non gamers but it also has enough depth to keep it fun for experienced players. 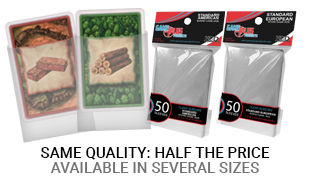 This game is also a great value because it comes with not only the base game but two other expansions that really add alot to the game, The investor expansion adds character cards inspired by famous investors, these cards give each player a special power. It also comes with an alternate board for advanced play that changes how the stocks behave. 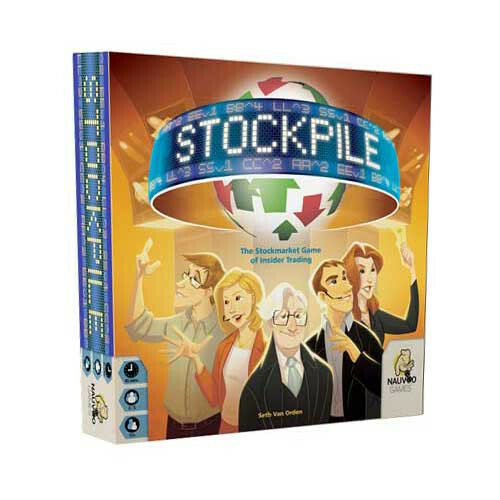 Bottom line is this is a great game, even if you have no interest in the stockmarket at all I am sure you will get tons of enjoyment from Stockpile.